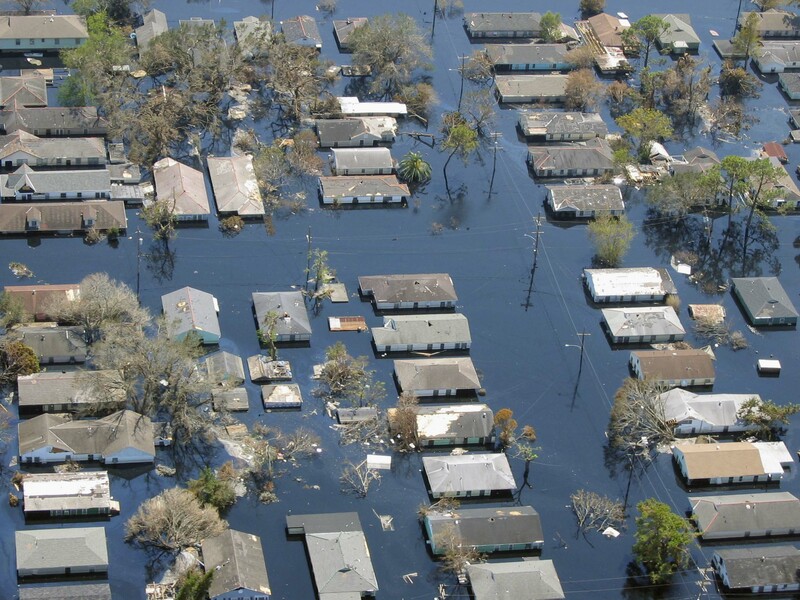 The 10-year anniversary of Hurricane Katrina affords us the opportunity to remember and reflect on how devastating nature can be when compounded by human failure. 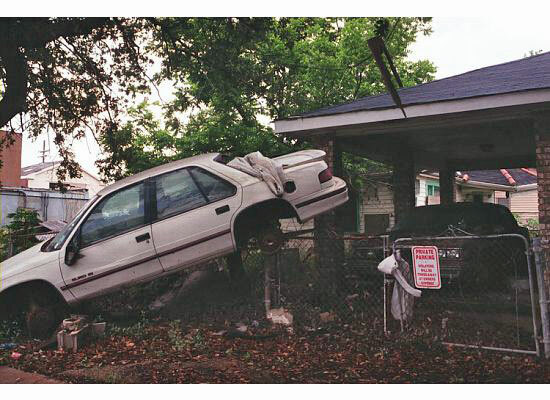 Eighty percent of New Orleans was underwater after the levees failed during and after Hurricane Katrina struck. As often happens, the poor, elderly and vulnerable populations suffered disproportionately because of their inability to get out of harms way and the paucity of their personal resources to recover afterwards. Sadly, that seems to be a worldwide characteristic. But what Katrina revealed was that a country that could deliver troops anywhere in the world within two days could not come to the rescue of one of its most culturally rich cities and its residents. And the residents that suffered the most were poor. I love my country and as a 30-year state employee, I believe in the positive power of government. But local, state and federal governments failed in Hurricane Katrina, from insufficient evacuation efforts, to the negligence in building and maintaining the levee system, to the limp rescue and recovery efforts and insufficient relief and restoration programs that followed. Like most folks who witnessed from afar, I was alarmed and shamed by the failure to evacuate the city’s low-income, elderly and vulnerable population. Roughly 100,000 people were left behind, stranded in a flooded city, fleeing like rats to the Superdome, Convention Center, bridges and rooftops, stuck there for days in insufferable heat with little food and water. Roughly 1,800 residents died. 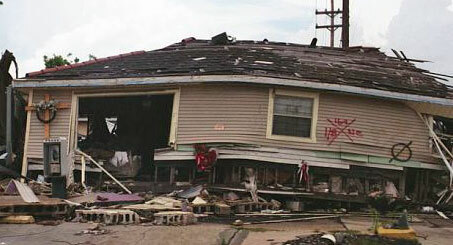 A destroyed home New Orleans lower Ninth Ward. The writing on the outside was from rescue workers. I was out of town, watching the TV at a hotel. When I got home later that day, a phone message from my sister said she was going to hunker down and stay in the city. I wouldn’t hear her voice again for over a month. Her message had been left on Saturday night. Nagin’s announcement was made Sunday morning. The hurricane made landfall near New Orleans on Monday morning, August 29, and by Tuesday 80 percent of the city was underwater. The power of the water when the levees broke pushed houses off foundations and cars down several blocks. My sister did eventually evacuate. Unlike many of the residents who were left behind, Katie had a car and the financial means to buy gas and survive the many months of uncertainty that followed. She was lucky yet she suffered so much personal anguish and loss that I doubt she will ever live again near the hurricane zone. I rebooked my flight for Jazz Fest that April which did occur and reignited my love for New Orleans culture. My sister gave me the devastation tour of St. Bernard Parish and the Lower Ninth ward, both areas completely submerged by what is now recognized as one of the worst civil engineering failures in U.S. history. There are a great many things the city and its residents can take pride in achieving over the decade. The city took a death blow and got up off the mat and survived–perhaps even thrived. New Orleans is a wonderful place to visit and live in. But it has changed. Maybe some of the changes are good, maybe not. But Katrina, like the 1927 flood and Hurricane Betsy, has left its mark. I’m dedicating my next two radio shows — (First Podcast and Second Podcast)to Katrina survivors. In my next post, I’ll tell brief stories of how some of the New Orleans musicians I play on my show weathered the storm. This entry was posted in Hurricane Katrina, Personal and tagged Hurricane Katrina, Lower Ninth Ward, Mayor Ray Nagin, St. Bernard. Bookmark the permalink.